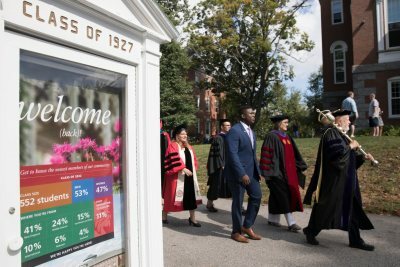 As Bates professors lined up for Convocation last week, they shared the courses and topics they're excited to teach. 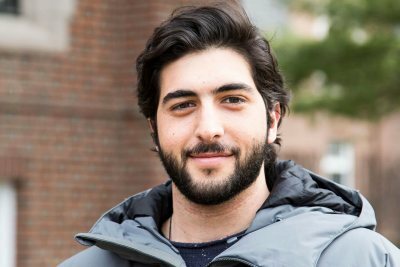 Lefkaritis, a Bates alpine skier and double major in engineering and economics, is the one and only Olympian from his native Cyprus. A British holography artist and a member of the Bates College physics faculty offer lectures relating to the current Bates College Museum of Art holography exhibition, "The Body Holographic: Harriet Casdin-Silver," at 7 p.m. Thursday, Feb. 10, in Room 104, Olin Arts Center, 75 Russell St.
A political scientist was promoted to full professor at Bates College, and four other faculty members received tenure and were promoted to associate professors, effective July 1, announced President Donald W. Harward.